Casa Lucy y Bartolo is a colonial House located in the town of Viñales. We offer one room with all the commodities, and excellent view to the Mogotes and mountains. The client will be able to enjoy the living room, garden, restaurant and a place for pets. We are located very close to supermarkets, museum and local shops. 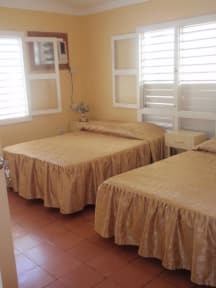 The rooms have two individual beds, air conditioner, a private bathroom with cold/hot water, a minibar, a fan and read light. Check in: Flexible - we advise you to contact the hostel to confirm arrival time. Lucy was such a nice lady Bartolo was a good cook! 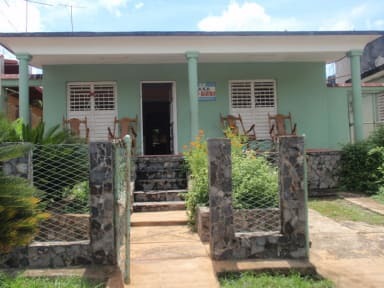 I enjoyed this only hostellike casa in Viñales yet!